Two polished Cleoniceras Ammonites back to back and joined by natural matrix rock. 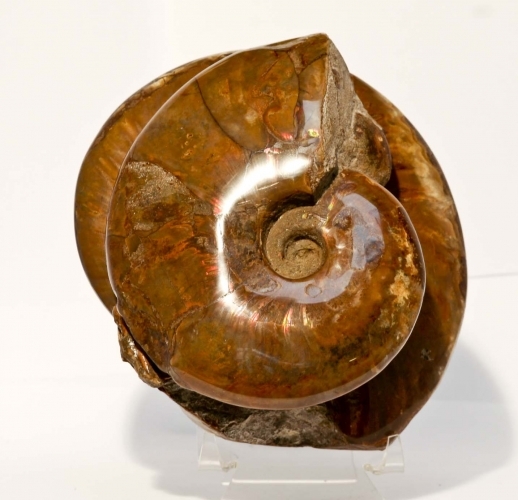 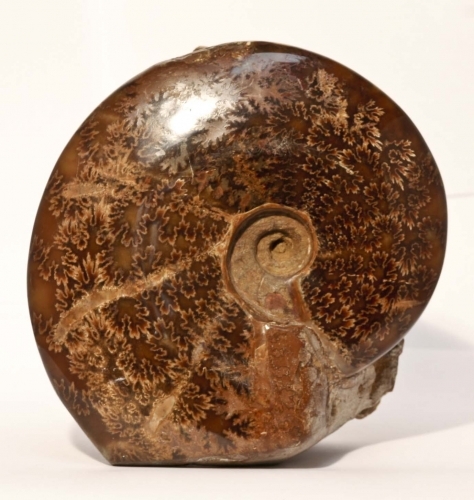 One of the 120 year old Madagascan ammonites, the smaller, has most of the shell preserved exhibiting red and green flashes. 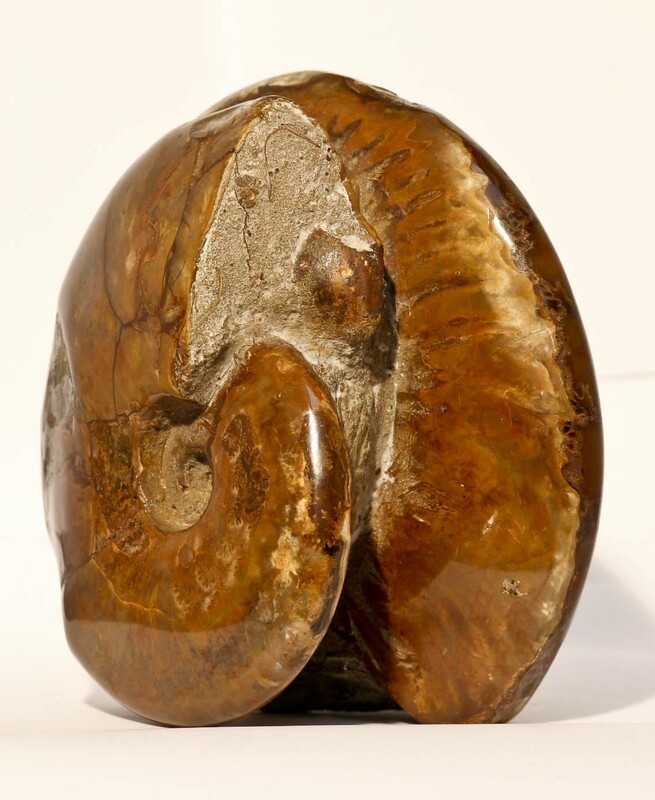 The larger ammonite has some shell on the rear but the front has been polished off to expose the beautiful suture patterning beneath.